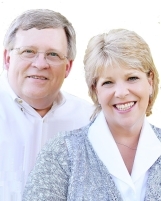 We are David & Kathi Merritt husband & wife team of TEAM-MERRITT, agents for RE/MAX Advantage, REALTORS. At TEAM-MERRITT, we are focused on giving our clients the best possible home buying or selling experience possible. We believe that to best serve our clients it is important to treat their real estate needs as if they were our own. We will work hard to earn your trust as we work together towards a common goal. Every homeowner has been a first-time buyer once in their life, so you're not alone. And when you work with a Realtor® that has your best interest at heart you’re not alone there either. But buying a home is one of the largest purchases you'll make, so how do you know if you're ready to take that next big step? David and Kathi have had a great deal of success working with singles and young couples in helping them make the right home buying decision, even if that decision is to wait a while. We can offer home-buying tips can help reduce the stress of buying your first home. Whether you are selling your home or searching for a new place in the Searcy / White County area to call your own, We will work hard to make sure that you are completely satisfied. With our experience, we have the knowledge, experience, and dedication that it takes to get the results you are looking for.